Join us on August 4th for Classes for Confidence—a free, 90 minute hands-on beauty class that teaches you how to create a natural makeup look so you can feel beautiful and confident. The class is specifically created for individuals navigating through their cancer journey. 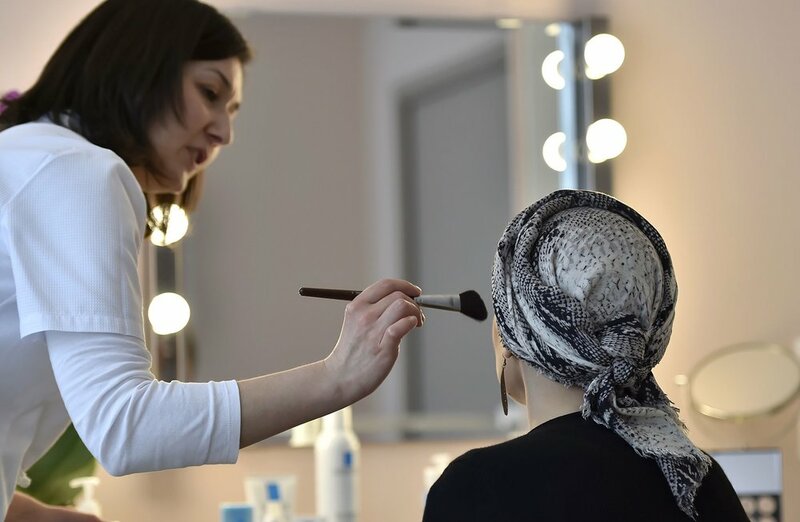 The makeup tips include soothing skincare routines and quick fix makeup tricks that help restore glow, as well as the appearance of brows and lashes that may be impacted by radiation and chemotherapy treatments. What type of products are you using in the class and are they safe? All skincare and color products used in the class are designed for sensitive skin. They do not include any acids or ingredients that stimulate cell growth. Please consult with your doctor should you have any questions about specific ingredients to avoid.